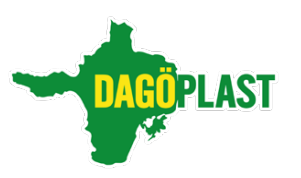 20 years ago, the machines started working at Dagöplast. 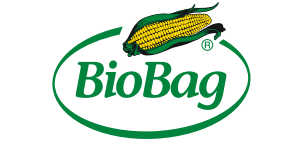 BioBag bought the factory in 2015 and since then our main focus is environmentally friendly products. We are proud of what we have achieved and want to celebrate. Therefore, we would be delighted to see you in our factory when we celebrate our anniversary. There will be a conference fee of € 90,- per night, which covers hotel, meals and dinner party. Please register below before April 30th. As our guest, we will make sure that you attend a factory tour that suits your time of arrival to the factory. 19:00 DINNER Orjaku harbour, celebration, entertainment and live music. Morning flight or ferries back to mainland and home. Meetings, additional factory and production tours. Guided sightseeing tour on Hiiumaa. The quickest way to reach Hiiumaa is by air. The regular flights between Tallinn and Kärdla six days a week. The flight departs at 7:00 and at 17:00 from Tallinn airport. It takes 35 minutes to fly from Tallinn to Kärdla and there is a bus waiting for you at Kärdla Airport. The flight leaves the island at 7:45 and 17:45. You should expect 1½ hour between flights. You can also arrive to Hiiumaa by ferries. The transportation from Tallinn airport to the ferry will be arranged by us. On wednesday the bus leaves the airport at 8:30 to catch the 10:00 ferry. On Thursday the bus leaves at 9:00 and will arrive at Tallinn airport at 13:00. The trip lasts 1h15min. Whether you choose to go by air or by ferry we will arrange transportation from Tallinn Airport to the ferry and from Kärdla Airport or harbour to the factory. Hiiumaa – an island in the BalticSea, rich by versatile, beautiful and intact nature and nice people. Hiiumaa the second largest island in Estonia is well-known for its historical lighthouses, untouched nature and makes a great rural getaway all year round. During the coldest times of the winter, you can easily drive to the island across Europe’s longest ice road. Equally loved by surfers, sailors, hikers and nature holiday-makers, Hiiumaa is great for those looking for peace and quiet. The local sights include the much admired Kõpu lighthouse, which is one of the oldest lighthouses in the world dating back to the 16th century. If you choose to go with the ferry we will arrange transportation from Tallinn Airport to the habour. If you choose to go by air we will arrange transportation from Kärdla Airport to the factory.